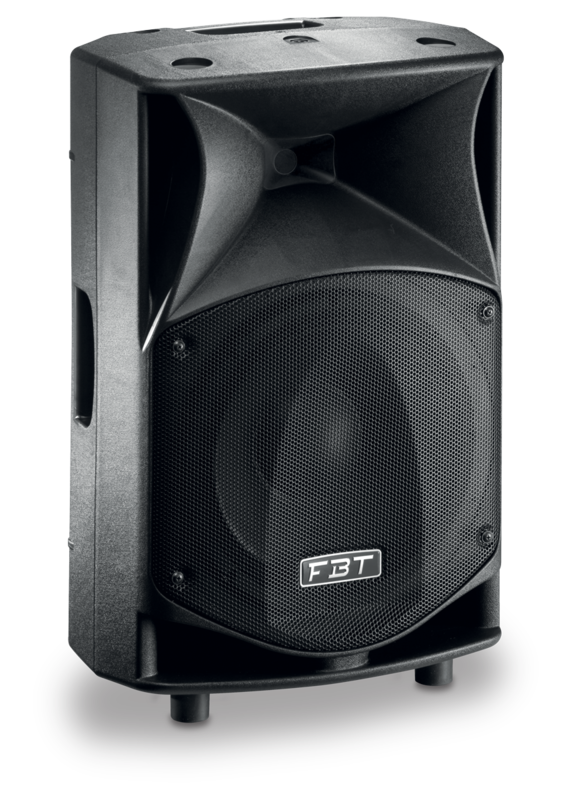 Prolight+Sound 2019 will see the world debut of JMAxX, a brand new line of maximum performance portable loudspeakers from FBT, successor to the original FBTMaxX series international best seller. 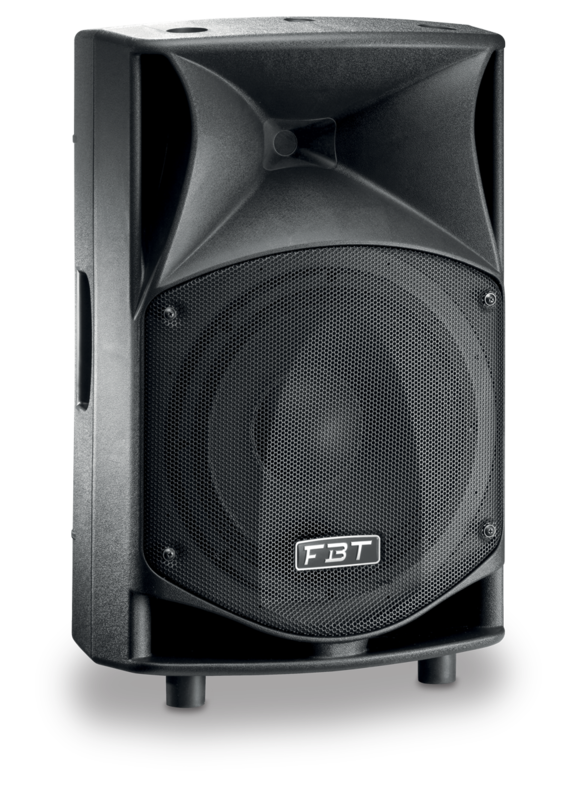 The new FBT JMaxX series combines ease of use and versatility for many portable or installed sound applications: musicians, DJs, AVL contractors, rental sound reinforcement, corporate events, houses of worship, bars and clubs. With its eye-catching gas-injected forms designed to virtually eliminate undesired enclosure resonance and reinforce strong low frequency performance, the JMaxX series of powered loudspeakers is available in three elegantly crafted two-way models: the 14-inch JMaxX 114A; the 12-inch JMaxX 112A; and the 10-inch JMaxX 110A. 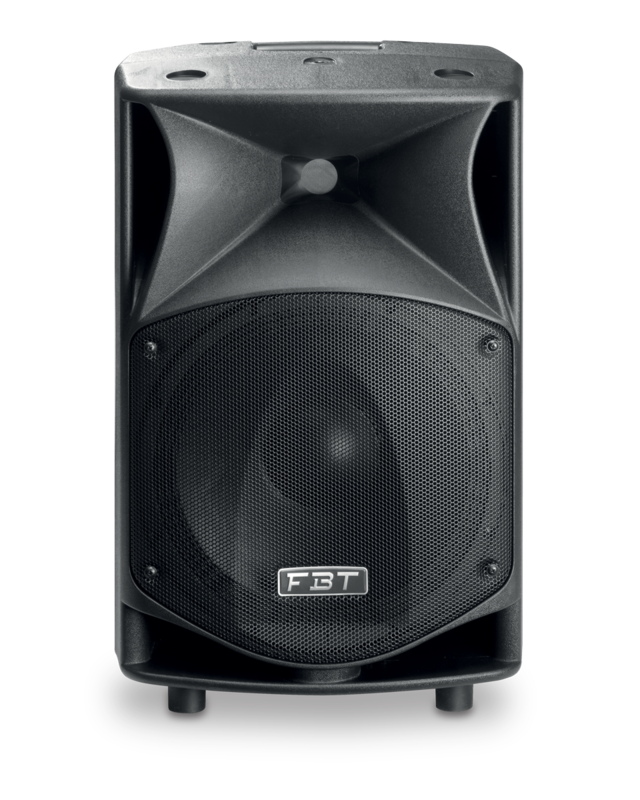 All are equipped with FBT’s latest 90° x 60° HF horn design which delivers improved projection, accuracy, and dispersion of the mid and high frequencies. Providing a myriad of possibilities for bands, DJs and solo artists, as well as for permanent installations, each JMaxX model is actually four loudspeakers in one. Derived from a decade of experience of portable sound reinforcement, the carefully tailored equalisation presets offer highly intelligible response for vocals and floor monitoring; slightly boosted response in lounge bar applications; punchy and forward sound for DJs and night venues; and a general-purpose EQ setting that mirrors the original and familiar FBTMaxX voicing. Common to all JMaxX models is FBT’s latest generation lightweight 700W + 200W Class D power amplifier with universal switch mode power supply, delivering abundant power and headroom to reproduce even the largest transients without distortion. XLR inputs and outputs, volume control, the EQ presets and filters, and ground lift switch are all conveniently located on a clearly laid out rear panel, making loudspeaker setup and operation intuitive and consistently repeatable. JMaxX’s versatility is further underscored by the many mounting and fixing options that the ergonomically styled cabinets provide. Mounting in fixed installations is made easy using the M10 suspension points or wall bracket flange plates, while portable use is facilitated by the built-in 35mm pole mount socket. There’s no need for separate stage monitors, as JMaxX’s cabinet profiles are designed with 12°, 40°, and 55° wedge angles, and when used with the specific floor monitoring EQ presets, will ensure that performers hear themselves with ultimate clarity. The JMaxX is making its international debut on booth C78 of Hall 8.0 at Prolight+Sound from April 2nd to April 5th 2019.